Lakeside boss Will Pottinger felt there were plenty of positive signs after new No.1 Nick Morris won the season-opening Lee Richardson Spring Classic. 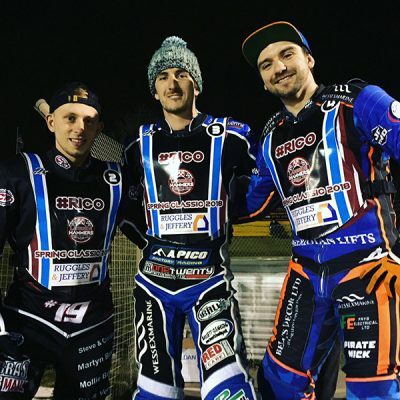 The new Hammers top four reached the final at the Arena-Essex Raceway with Aussie ace Morris taking victory ahead of Adam Ellis, Richard Lawson and Kyle Newman. “There were a lot of encouraging signs,” new team manager Pottinger said. “To have the top four in the final was nice to see, and of course new No.1 Nick Morris took the win and looked impressive. “All of the home riders were improving as the night progressed and showed plenty of positives, so we were happy. 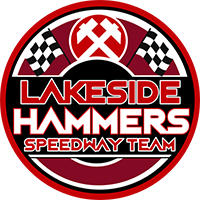 The new-look Hammers will be in SGB Championship Trophy action when they head to Peterborough on Sunday (7pm) before a home and away double header against Ipswich on Good Friday. 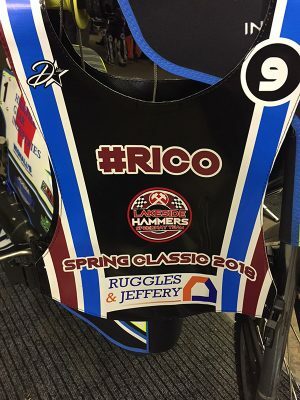 The #Rico Spring Classic Racebibs were signed by the related riders and will be auctioned off. The club will confirm the process for this in the next few days. Adam Ellis 13, Nick Morris 12, Richard Lawson 11, Kyle Newman 9, Zach Wajtknecht 9, Jason Garrity 8, Ben Morley 7, Steve Worrall 7, Edward Kennett 6, Gino Manzares 4, Max Clegg 4, Alfie Bowtell 0. 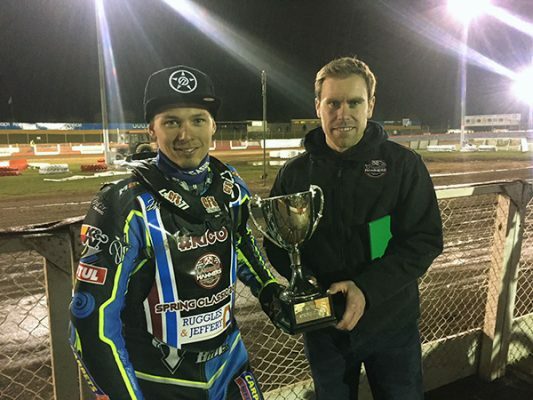 Image: Nick receives the Rico Spring Classic Trophy from Hammers Boss Will Pottinger. Thanks to Lakesidelive for heat updates.